Professionals in makeup artistry are busy painting our world every day from basic cosmetics to elaborate theatre. Take a look around at the different aspects of this creative profession. Most people don't think about the tube of lipstick they are throwing into the shopping cart. They don't realize most cosmetics have been designed and critiqued by top makeup artists. 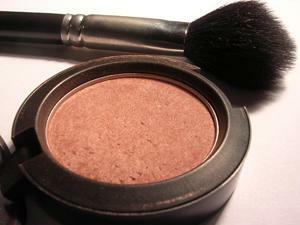 Individuals working in makeup artistry are often the ones developing the cosmetics we buy. At the center of the beauty industry, they know what sells. This means they are able to design products that bring in the most profit from consumers. Everything from long-lasting lipsticks to shimmering eye shadow is the result of a makeup artist hard at work. Like painters and sculptors that work in the fine arts, makeup artistry can be a thankless job with long hours. However, their passion is often recharged when they see their work on the cover of a major magazine. Helping others to feel beautiful and confident is another benefit to working in the business. Members of the beauty industry are also starting to reach customers on the Internet. Bobbi Brown Cosmetics is one such company. On their web site, visitors can chat online with a professional in makeup artistry. The brand believes individual consultations help to boost sales. Customers also receive an email response to their questions within 24 hours. Studies have shown this amount of personal attention has paid off. Receiving professional advice from the comfort of their home is a motivation to do more online shopping. Since questions cannot be answered while they are at the drugstore, having online access to an expert is appealing. One downside to the Internet market is the lack of color accuracy. Those working in beauty technology are constantly looking for ways to make sample colors come across more accurately on the personal computer. Cosmetic companies are getting closer everyday, however many warn consumers that shades are not 100% accurate. Makeup artistry plays a huge role in professional acting. You can find these artists working in every genre from independent films to Broadway productions. These experts can transform the average face into almost anything for the stage. The trick is to alter the actor's appearance with light and shadows. Using cosmetics to show or hide features already existing on the character's face, makeup artists can accentuate the good or the bad. Three-dimensional makeup is another form of makeup artistry found in the performing arts. The first step is making a cast of the actor's face with a substance called alginate. A lot of actors feel claustrophobic during the process, so it is important for the artist to tell them beforehand what the experience is like. After the alginate has dried, the makeup and shaping substances like latex are applied to it. This looks a lot like decorating an elaborate mask. When it is complete, the cast can be attached to the actor's face with special glue. Makeup artists must be patient because this gluing process can take hours. Makeup artistry can be found on the faces of brides every year. Women often turn to a professional makeup artist to look their best for their wedding day. The artist must be thinking of the bride in two different ways. The first goal is for the makeup to look beautiful for family and friends. The second is to make the features stand out for photographs. Black and white photography can be a challenge for cosmeticians. If you are getting married, ask to see examples of the makeup artist's work before signing anything. Be assured that they are proficient at applying makeup which will compliment your style of photos. Most professionals will use a durable powder on the bride to keep cosmetics fresh and long lasting throughout the day. Enlisting a makeup expert will keep your face kiss-proof, tear-proof, and sweat-proof throughout the entire reception. Because many brides want to look dramatically different than they do every day, the professional helps them achieve that. Most women apply makeup the way they do because that is the only way that they know how. A makeup artist provides you not only with a great new look but a fresh perspective on beauty as well.